Doors are supported by a 31.1mm diameter D-shape aluminum vertical pole. Hardware fittings are made of nylon polyamide (Grade-6) material. 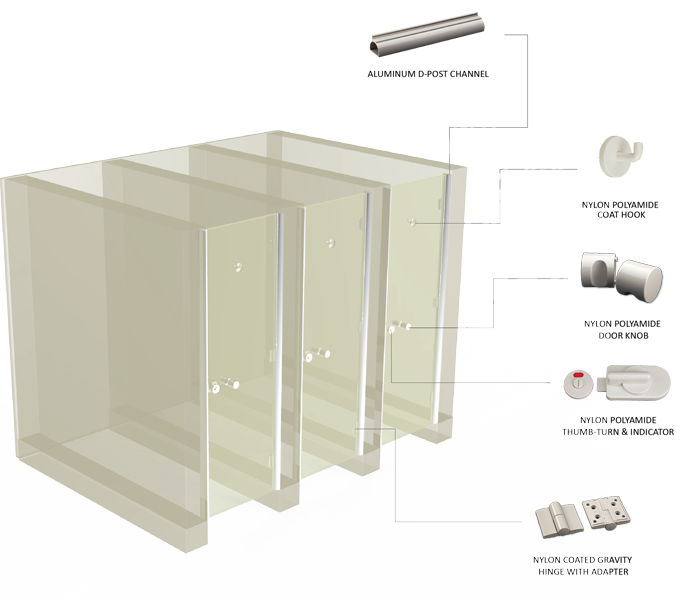 Aluminum D-post channels are fixed to the wall with stainless steel (Grade-304) screws and wall plugs. Aluminum vertical poles are incorporated with the noise deafening tape to reduce the noise effect. Further doors are attached to the poles by an arrangement of hinge adaptors and hinges.